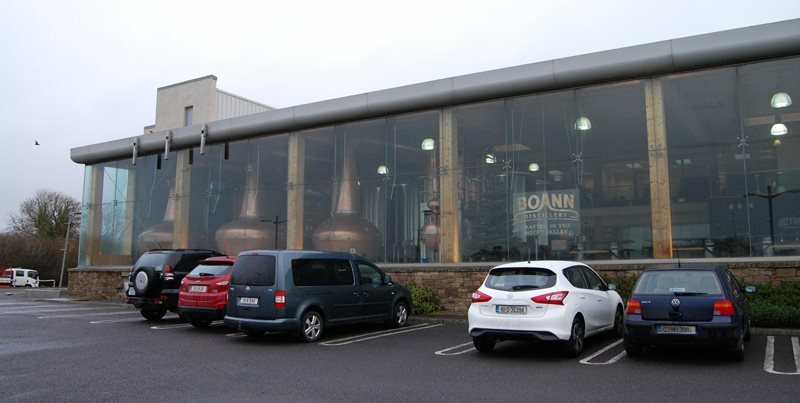 The Boann Distillery is located a stones-throw off junction 8 of the M1 motorway in Drogheda and named after the goddess Boann who created the river Boyne. I was rewarded for my three hour drive from Clare by the sight of the magnificent Italian made stills on full view in their repurposed, post Celtic Tiger, car showroom window. Even though there is a resurgence of Irish distilleries giddy excitment still bubbles to the surface as I step into the beautiful, marble floored showroom. Everything is shiny new and while I await my guide my eyes take it all in, but there is something missing. The sounds, the glorious spirit smells, the heat from the stills. Such a tease! The piping is awaiting completion over the next few months and I feel like I'm in a glorious house awaiting transformation to a home. That feeling is quickly quenched by the arrival of the lovely Sally Anne Cooney who makes me feel welcome from the start. Engaging, excited and full of a willingness to share the Cooney's vision Sally Anne quickly fills me in on the the family's history in the drinks industry. Tipperary mineral water, Finches soft drinks, cream liquer, cider and wine were all in their portfolio before selling a significant portion of that to C&C in 2012. 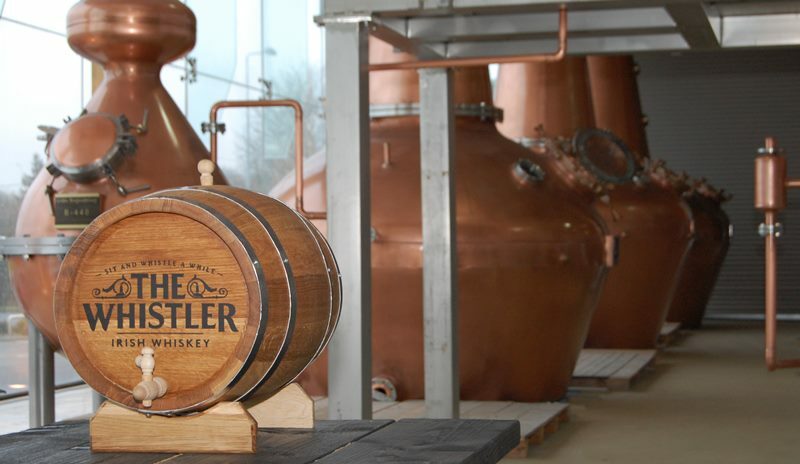 Her father Pat was reluctant to sit back on his rewards and a distillery, brewery and visitor centre would be the next family project for Pat, his daughter Sally Anne and three sons - Peter, James and Patrick. Our attention turns to the spanking new distillery kit sitting on the showroom floor waiting to be piped up. Sally Anne tells me they will have their own mill room behind the mashtuns. 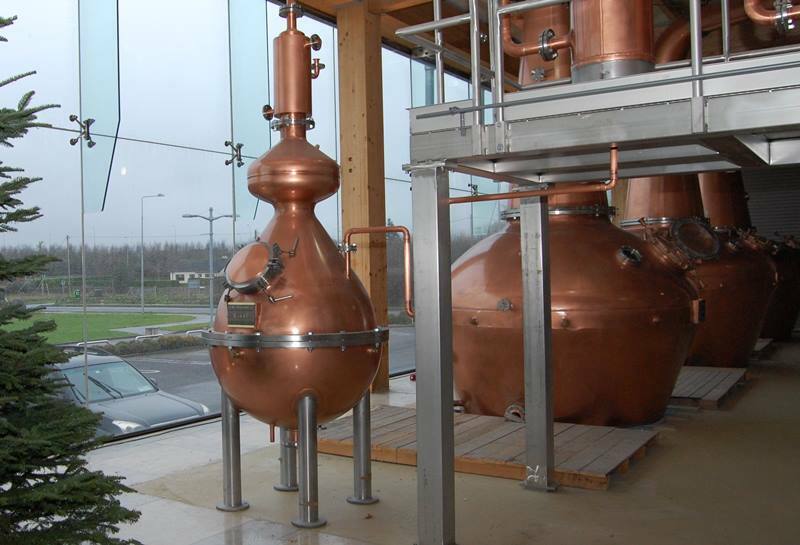 When the distillery gets up and running the family plan to make both Irish single malt and pot still whiskey. Fantastic! 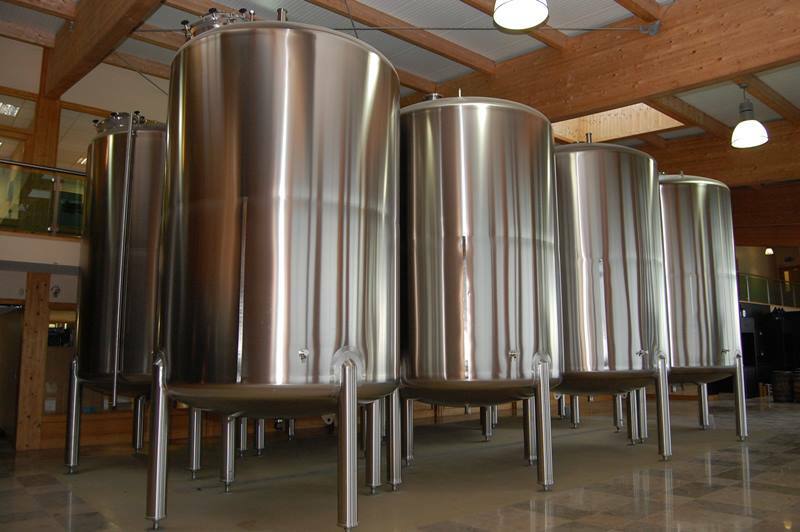 The taller vessel on the left is a pre-mashtun of sorts, where the unmalted barley will start. Sally Anne mentions a word I'd hear a number of times in my visit - efficiency. 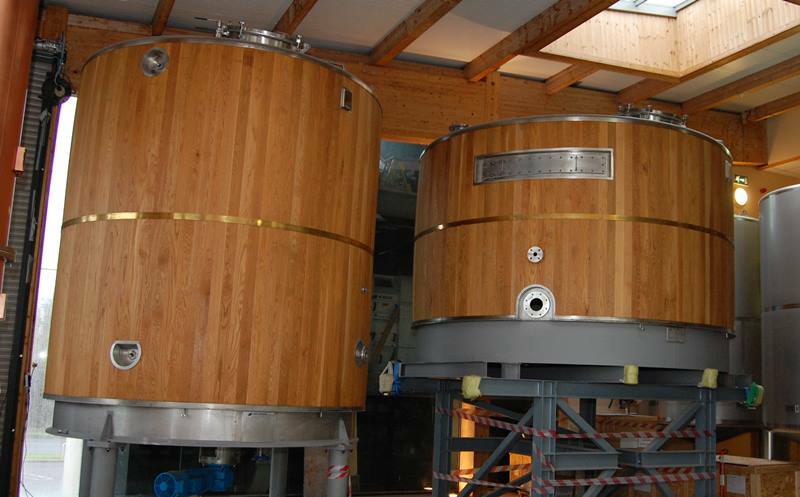 While making malt whiskey, the mashtun on the right will only be used. Eight shiny, new stainless steel ferementers sit next to the mastuns where yeast will be added to the wort and left to ferment for a number of days. The scale of the operation impresses before we move on to the stills. Boann distillery will triple distill all their malt and pot still spirit. 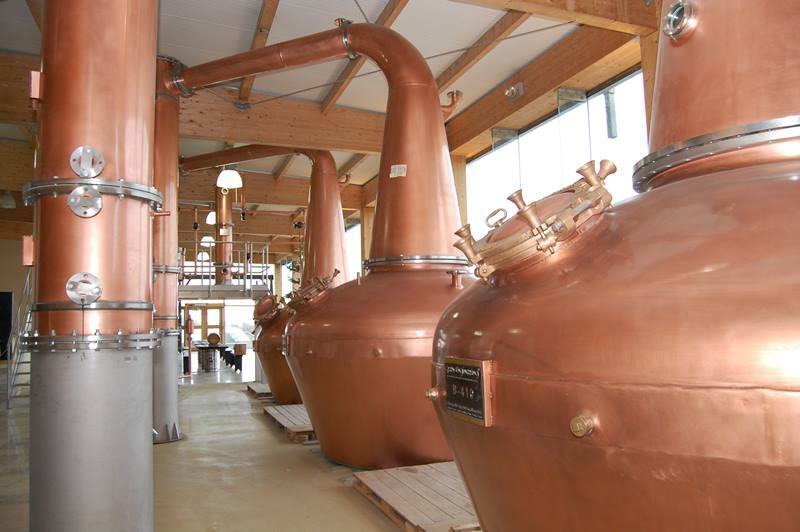 Their 3 copper pot stills were custom made by Green Engineering in Italy and are an impressive sight. 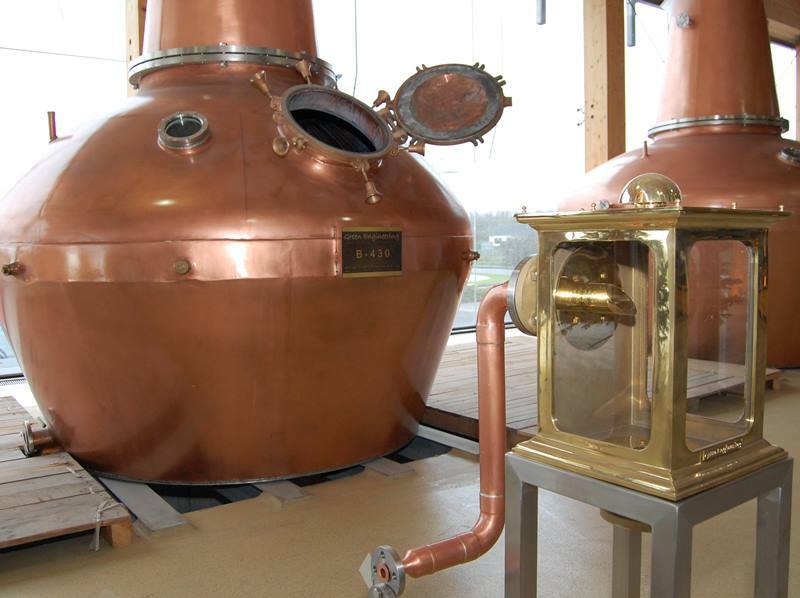 Sally Anne tells me the stills have a capacity of around 10,000, 7500 and 5000 litres and contain innovative nano-copper technology specifically designed to increase the surface area contact for the alcohol vapours as they make their way along the lyne arms. Interestingly, each still has it's own spirit safe. Sally Anne informs me that it was a consequence of layout efficiency than by design. The little Bennett still, close to Sally Anne's heart will produce Gin made from locally gathered Boyne Valley botanicals. Brandy was also mentioned as a potential output of this still. A quick tour followed of the vast Boyne Brewhouse brewery under the same roof behind the distillery. Labelling, bottling and canning lines are also on site. But my interest stays with the whiskey and Sally Anne shows me the basement where the Cooney's plan to mature their spirit. 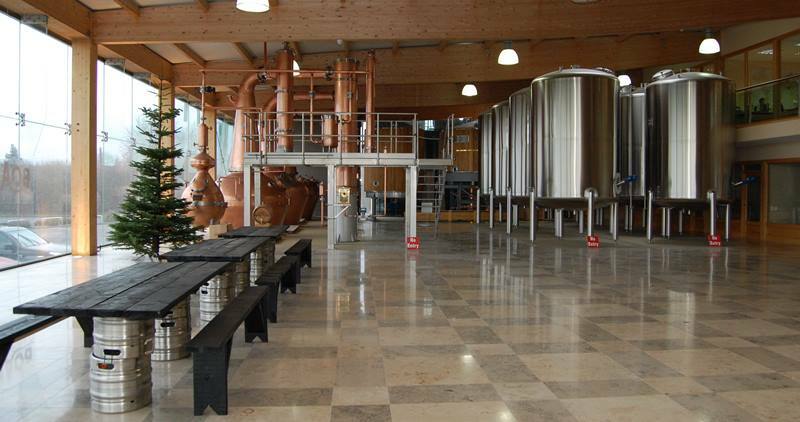 The operation capacity of the distillery will be around a thousand casks a year and three thousand barrels can quite comfortably mature downstairs in this suitably cool environment. In the meantime, while we wait patiently for Boann distilled whiskey, The Whistler brand has been released. Aged, independently sourced whiskey has been released as 7 year old single malt, 10 year old single malt and a 7 year old cask strength single malt expression.